Watch the “Getting Started” video below for guidance on how to match the program to your current fitness level and to get the (minimal) equipment you’ll need for killer, at-home workouts. Download and print off the “Workout Calendar” below and write in your start dates for each week so you can keep track of your own workout schedule. Download and print off the “Fitness Test” below and complete your first test before you get started. You’ll be amazed at the progress you see when you refer back to this sheet and document the great improvements in your body as you complete each phase. Download and print off the “SMART Goals Worksheet” below, and use it to set the goals you will achieve using the program. 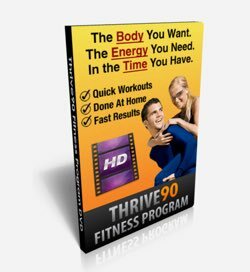 Watch the “Motivation” video below to help you get your mind set in the right direction and keep yourself inspired to continue through for the full 90 days. When you’re ready, go back to your membership homepage and head to “Phase I” to get started with the workouts or “Nutrition” to learn more about the Thrive Nutrition Guide. 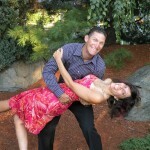 You can access it anytime by clicking on the “Log In” tab at the top of any page on the FitMarriage.com website. While you are welcome to stream the videos right from the web page, we strongly encourage you to go ahead and download the full movie file to your own computer. It will take a few minutes, but you’ll never have to worry about buffering or internet connection issues when you’re ready to workout. After download, all you’ll need to play the video on your computer is a free program called Quick Time. You probably already have this installed, but if you need to grab it just go download Quick Time here. If you want to share the program with your friends and earn a 50% “commission” in the process, just use the information found in the “Affiliate” section of your membership homepage. 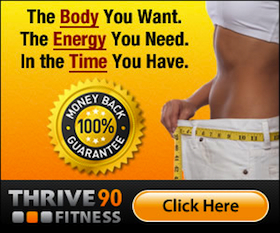 Help your friends get fit and earn some money as our way of saying THANKS for spreading the word about Thrive90 Fitness!